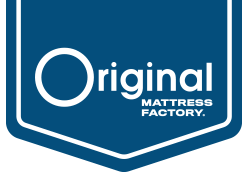 Our Classic mattresses and box springs offer good support and durability at an affordable price. There are five Classic models available, all of which feature a Bonnell innerspring system and real working modular box springs that provide support and shock absorption. 7” quality innerspring mattress set hand-built with a one-sided design and hard feel. 8” quality innerspring mattress set hand-built with a two-sided design and hard feel. 9.5” quality innerspring mattress set hand-built with a two-sided design and medium feel. 10” quality innerspring mattress set hand-built with a one-sided EuroTop design and soft feel. 10.5” quality innerspring mattress set hand-built with a two-sided design and soft feel. 7” quality innerspring mattress hand-built with a one-sided design and hard feel. 8” quality innerspring mattress hand-built with a two-sided design and hard feel. 9.5” quality innerspring mattress hand-built with a two-sided design and medium feel. 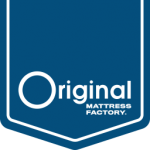 10” quality innerspring mattress hand-built with a one-sided EuroTop design and soft feel. 10.5” quality innerspring mattress hand-built with a two-sided design and soft feel. Real working modular box spring acts a shock absorber and helps to extend the life of the mattress.